BarTender has the capability to conditionally print in an assortment of manners. 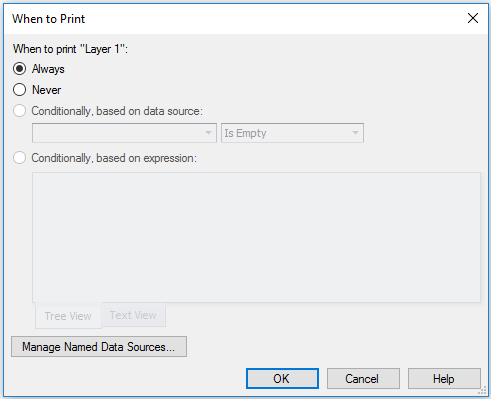 Conditional printing is configured using an expression or referencing a data source. This allows the ability for your label to adapt dynamically. 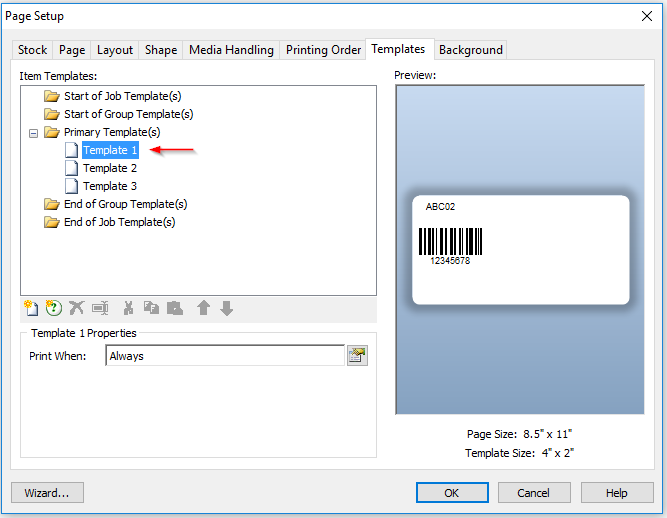 Conditional printing for any of the above items is set in a different place depending on which item you choose to conditionally print. You will need to have Automation or Enterprise Automation edition to do this. Double click on an object or right click and click Properties. 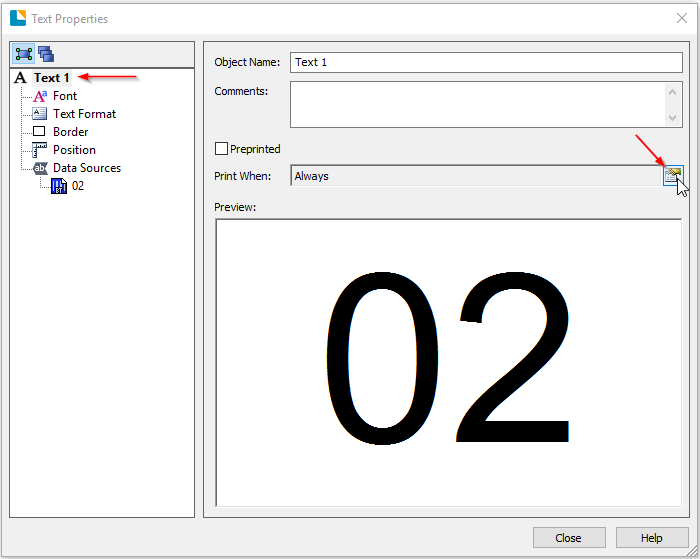 Click on the name of the object. On the right you will see the option Print When: click on the icon. Double click on an object or right click and click Properties. 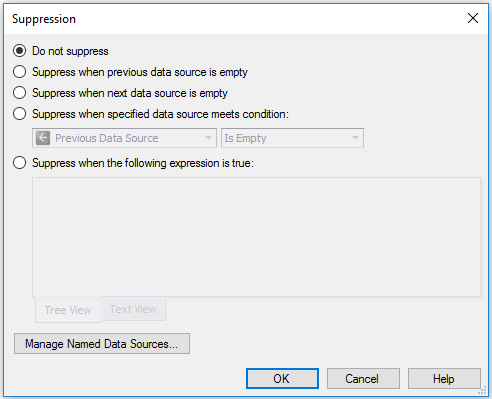 On the left, click on the Data Source you would like to set a conditional statement for. On the Transforms tab on the right click on the icon across from Suppression. 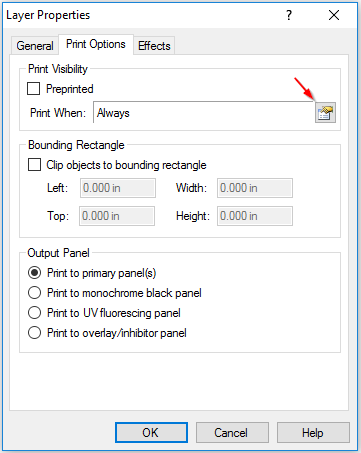 Click on the icon located on the Print Options tab. 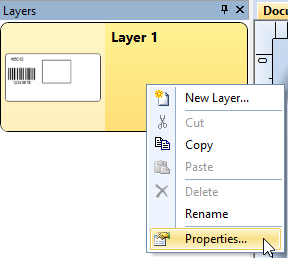 With your BarTender label open click File>Page Setup in BarTender. You will see the Page Setup dialog appear. Click on the Templates Tab. 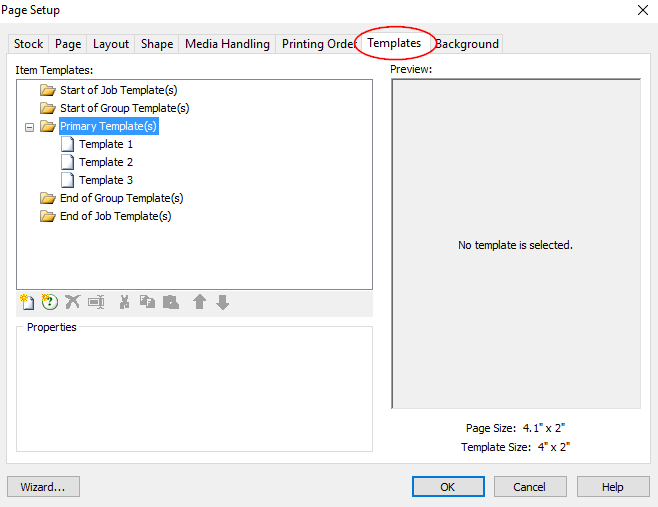 Click on the Template or Template Selector you would like to setup conditional printing for. 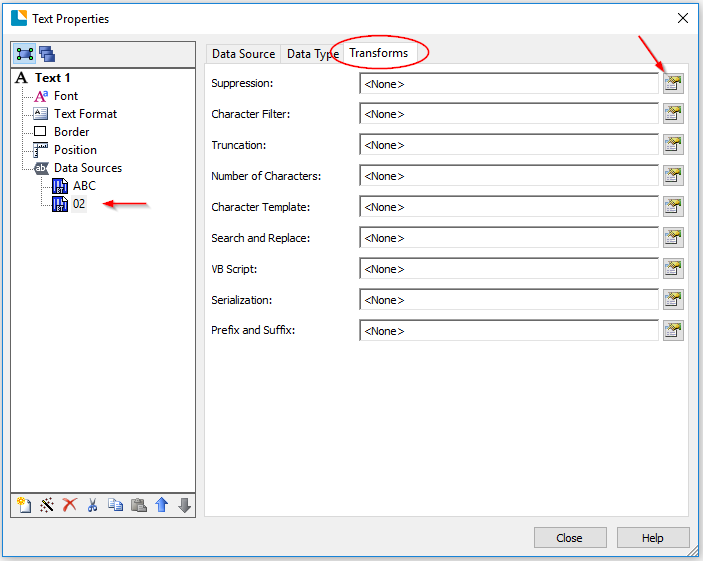 Once selected you will see the icon in the Template Properties. 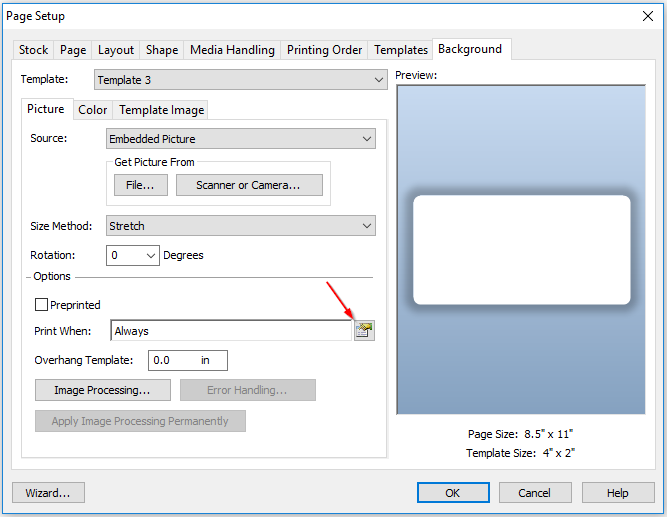 Click the icon to setup conditional printing for the Template or Template Selector. With your BarTender label open click File>Page Setup. You will see the Page Setup dialog appear. Click on the Background Tab. 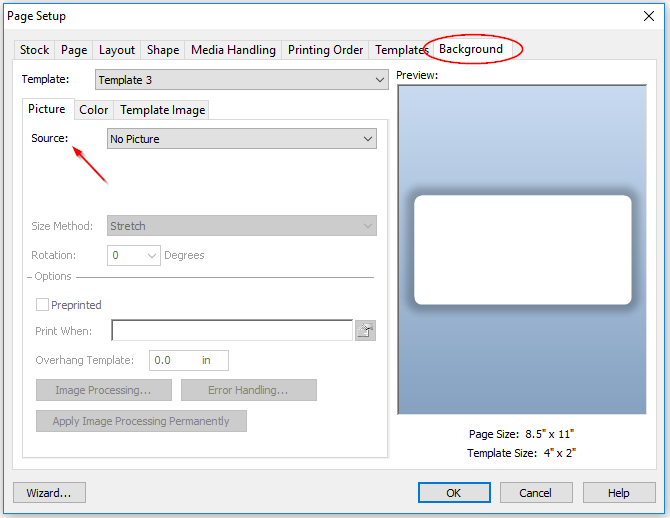 Set a Background to enable the rest of the options. 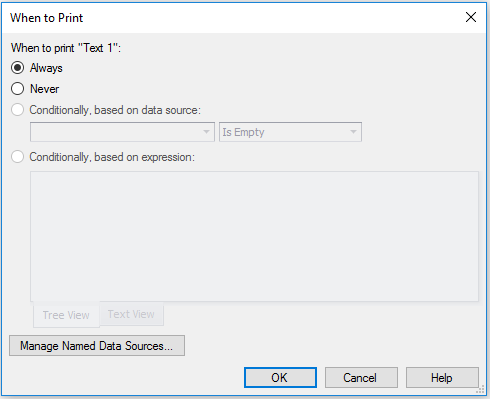 Click on the icon to view the When to Print dialog and setup conditional printing. I have bartender professional. The only 2 conditions I have for printing is always or never. Is there a place I need to turn on the other conditions, or is this specific to a different version of the software? I have the same issue as Josh. Any feedback on this? Conditional printing based on a database field is only supported on Automation editions of BarTender.